Rates increasing from 111-year, all-time lows now or soon! Below is a great blurb on what is happening with yo-yo predictions of the future of mortgage rates. Get pre-approved now, consider locking-in if you were going to OR redo your mortgage now for the last of these low rates! The laws of gravity dictate that what goes up must come down but I’m afraid, when it comes to the laws of economics and interest rates, what goes down must come up. Ultra-low interest rates are only a short-term solution and not sustainable in the long run. This is something which all economists agree on. Unfortunately this is the point where the common consensus ends and opinions diverge. The issue which is most divisive amongst the experts at the moment is exactly when these rate hikes will begin. As recently as a month ago many experts were predicting that rates would remain at their current levels until as late as March of 2012. A tumultuous week in the markets has seen many of these experts revise their predictions, with many now citing September as the month to bring a halt to the rate freeze. Surprising inflationary reports for May demonstrated the fastest annual rate in eight years. While Mark Carney previously highlighted the transient threat of rising gas prices, which witnessed a 30% rise, gas prices were not alone in driving the inflation. Even the core rate, which strips out the more volatile prices of food and fuel, rose to a rate of 1.8%, quickly racing towards the Bank of Canada’s 2% target rate. With Canadian inflation now standing at 3.7%, exceeding those of Australia (3.3%); Mexico (3.3%); Chile (3.3%) and Columbia (3.0%) the calls for increased rates have grown ever louder. The fact that these countries all have short-term rates exceeding 4%, while Canada’s lingers at 1% only strengthens the case for a rate increase. This week also saw a dramatic surge in 5 year bond yields. On Monday the yield had fallen to 2%, leading many to speculate that lenders would be forced to further drop fixed rates, which have already been subject to a series of slashes in the last few months. However these calls were short-lived as yields rebounded strongly in the face of the inflation report combined with renewed hopes that the European Central Bank could be able to prevent the default of Greek debt. So what does this mean for your mortgage? It means that if you are looking for pre-approval for a purchase or refinance there has never been a better time to secure your rate with Mortgage Mark while rates are still low. For those of you in a variable rate we’d like to reassure you that we still think this is still a good option. However our variable rate clients should prepare their finances and make sure they will be able to handle a potential increase to their payments coming in September. If you would like further details on any of the information listed here we implore you to call Mark Direct at 403-681-4376 for our sound, unbiased mortgage advice. A new survey from CMHC says the vast majority of Canadians renew their mortgages with their original lender, but you can save thousands over the life of a mortgage by looking at competing rates from competing institutions and mortgage brokers. Elton Ash, regional executive vice-president with Re/Max of Western Canada and a long-time realtor, says for most people if the customer service is good, they stay. The banks are more competitive these days for existing customers. Part of the reason is it can cost a financial institution up to 30 basis points to attract a new customer, so why not just spend the money on retaining existing customers? This is a re-post of a great blurb by Boris Bozic, President of MERIX, a broker only lender. He is a pretty smart gent and his light and direct points are worth the 3 minutes it takes to read this. This was a term we were all too familiar with back in August and September of 2008. It is also the name of a new HBO movie which chronicles what transpired at the beginning of the sub-prime mortgage meltdown. HBO assembled an outstanding cast, and given the subject matter the movie was rather entertaining. I would highly recommend watching the movie. It is a good reminder to all of us that the term boom and bust is as applicable today as it always has been. In typical Hollywood fashion, a liberal bias amounting to revisionist history, the movie tried to blame George W. Bush and Ronald Reagan for the meltdown, and all other evil things. The truth is you can go back to the Jimmy Carter administration, and the passing of the Community and Reinvestment Act. That work of art stated that home ownership was a right, and not a privilege. This is where the slippery slope began. Then old Slick Willie, aka “which way are the political winds blowing today because that’s what I’ll stand for”, Bill Clinton, put that program on steroids. Suffice to say the responsibility for the meltdown, and the nuclear fueling of the problem, is equal parts Republican and Democratic. The movie is a great reminder of how perilously close we came to an economic meltdown. How our standard of living was at the precipice. If you think this is hyperbole, because this was really a US issue, the reality is that this carcinogen (sub-prime mortgages) infected world markets. I can’t help but to think about the auto worker in Windsor and Detroit, the welder in Germany, the machinist in France, all, asking the same question: “Tell me again why my pension has taken a hit because of some mortgage problem?” No one from Wall Street could explain what happened in laymen terms. The average person cares little about default swaps, derivatives and mortgage-backed securities. All the layman cares about is finding out who the hell let this happen. That question has still gone unanswered. The movie doesn’t deal with the who. The movie played up of the part about the moral dilemma the government faced. 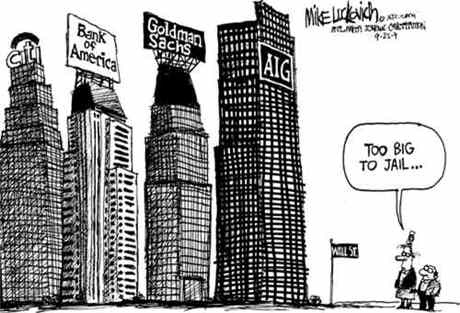 Who did the government decide to bail out, AIG, and who did they allow to fail, Bear Stearns and Lehman Brothers. All very fascinating and dramatic. But after watching the movie I couldn’t help but ask myself the following question: “How the hell has no one gone to prison over this?” I’m all for a free market system, and the pursuit of wealth, but reckless endangerment of our economy and standard of living should not go unpunished. There were individuals and institutions who knew full well they were passing on toxic assets. They were passing on the risk so they didn’t care. They could care less about the consequences. Yet none of the perpetrators of this ingenious fraud has ever been charged or convicted. You would think at least a couple of them should be experiencing the joys of being passed around in prison for a carton of smokes. Change is often the end result of something. Once in a while, change is introduced to create not only new results, but an entirely new direction. Enter V-Close, the new virtual document signing service, for clients needing to sign documentation for a Real Estate purchase or sale transaction, born not only from the evolution of technology, but of an understanding of the preferences of the market for convenience, over all other benefits. So then, in these client-centric industries, it is about understanding the value of an offering, and making the client aware of it. Education and understanding are some of the cornerstones of communication- necessary for any productive relationship. For Real Estate and Mortgage Professionals, the question might be, why this service, and how does it work- so that they can support clients in weighing their options. It’s simple really. For a fee comparable to traditional document signing, you essentially sit in your living room, or whatever location suits you, at a designated time, and await the arrival of the Commissioner of Oath. One challenge that Realtors and Mortgage Professionals encounter is a one-size-fits all attitude to technology, as well to servicing the needs of their clients from different generations. Different generations have different needs, understanding, comfort level and expectations when it comes to technology. What is common among clients though, is the appeal of an idea that they are empowered to pick and choose service in a location and a time that puts them first. This is demographic reach in action, with seniors happy that they don’t have to venture out of their homes (often a challenge for the most hale and hearty with Canadian winters), and for Gen X & Gen Y, they are drawn in by the technology itself. Pick an industry, any industry, and you will see clear evidence of evolution driven by delivering customers what they want. And in this age of instant information and convenient access to just about everything at hours that suit consumers, it only makes sense to be open for business when business is there. To really understand a clients’ needs and wants, one must almost break down processes, working backwards, to understand its’ genesis- rather than just simply trying to market the end result. As Soni agrees, when you start and finish with the client’s needs, the possibilities are profound. Part of introducing and selling change, is dealing with objections- and objections and scepticism are not uncommon, especially in the areas of technology- as many consumers are afraid of things like fraud, identity theft and of compromising personal information. Soni suggests that one must recognize these objections, and address them gently, offering alternatives, and assures too that in theory, there are no differences between a traditional document signing, and a V-Close. “There is no difference on the other side. If they need to ask questions, they ask questions. If identification needs to be taken, it’s taken by the commissioning agents. What’s in it for Realtors? In client-centric business, sometimes there are challenges in meeting clients needs, and in coming up with new ways to over deliver- in ways that the client does not even expect. What this opportunity represents is a chance to give more to your clients, by anticipating their needs before they do. In knowing about the options, and presenting them with a solution that they don’t expect, perhaps because they don’t even know the technology exists, you communicate your own value, and set your service apart. Great news below for anyone thinking of buying their 1st home, an investment property or worried about their job. This may calm you if the latest economic info is getting you down. The European sovereign debt crisis, a potential hard landing in China, weak U.S. economic data, and the U.S. debt ceiling debate have provided investors with plenty to worry about. Since none of these problems look like they will be resolved in the immediate future, don’t be surprised if global financial markets continue to be in a rough patch for at least a few more weeks. 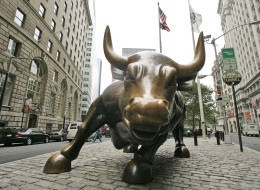 Despite the unpleasant stew that is brewing, it is not noxious enough to either derail the economic recovery or upend the market rally of 2011, says Joseph P. Quinlan, chief market strategist at U.S. Trust, Bank of America Private Wealth Management. In a recent research note, Mr. Quinlan points out that June is often a lousy month for equities, as the Dow Jones Industrial Average has fallen for the past six years. The strategist provided ten reasons why investors should not panic. After a two-year profit boom, corporations are putting this money to work in the form of both climbing capital expenditures and hiring. At the same time, share buybacks and higher dividends are on their radars. So despite the deleveraging of U.S. households and the government’s credit limit challenge, the strong capital position of many corporations will be an important driver of the economic expansion in the medium term. The U.S. unemployment rate remains elevated at 9.1% in May 2011. However,95% of the skilled labour force is currently employed as workers with four-year college degrees or more have an unemployment rate of 4.5%. This cohort accounts for a disproportionate share of personal consumption. Total exports hit an all-time high of US$172-billion in March 2011. With the weak U.S. dollar and continued growth overseas, exports should remain strong over the medium term and cement America’s position as the top exporter of goods and services globally. The weak housing market continues to put pressure on state finances, but the worst is over for many as better-than-expected retail sales and other receipts are helping to establish a floor for their financial position. The Fed’s second round of quantitative easing is due to conclude at the end of June, but the central bank’s benign monetary stance will be maintained well into the second half of 2011. The Fed is expected to err on the side of too-easy money rather than premature tightening, unlike the European Central Bank. With some US$3-trillion in reserves, the Chinese government has the wherewithal to keep growth in the 7% to 8% range in the near term. Despite challenges such as rising wages and higher food and energy costs, China’s economy may slow, but it will still grow faster than most countries again this year. It managed to post more than 9% GDP growth in 2009 as the global economy slumped. The soft patch for global economies will help contain inflation risks and improve consumer sentiment around the world. The euro zone’s wealthiest member, Germany, will provide both the political will and capital to prevent Greece, Portugal or Ireland from imploding. The debt ceiling has been increased more than 100 times in the past. Once this happens again, the focus will shift to tackling the U.S. federal budget deficit. Nor are they in the midst of austerity campaigns. In fact, the IMF estimates that developing nations have somewhere around US$7.5-trillion in international reserves. The deployment of these excess savings will come faster as a result of slow growth in the United States and Europe, helping the global economy maintain a growth rate of 3.5% to 4% in the near term. This is great news for Calgary. It shows two things. 1. Due to the home price drops from the peak in 2007 many are choosing to renovate rather than move out of their “upside down” mortgages. 2. The Perfect Home Program allows you to include the cost of renovations in the mortgage when it is purchased. Call to discuss how this program work. It means that you can buy a home in the location YOU want and then make it YOUR Perfect Home with your own kitchen, floors, basement and all the rest. 1.7% growth in 2011, 4.9% in 2012. Renovation spending in Alberta is forecast to lead the country in year-over-year growth this year and in 2012, according to a report by the Altus Group, an economic consulting firm. The report said spending in Alberta on renovations hit $5.7 billion in 2010, which accounted for 9.5 per cent of all spending in the country. Total spending in the province was up 7.2 per cent from the previous year which was behind many other provinces for annual growth. Canada saw 9.2 per cent growth in 2010 to $60.1 billion. Altus Group forecasts spending to increase in Alberta by 1.7 per cent this year and by 4.9 per cent next year — both growth rates leading the nation. For Canada, the report forecasts a 0.1 per cent decline this year followed by a 3.6 per cent hike in 2012. “Canada’s general economic recovery continues, but at a modest pace,” said the report. “Job growth has been stronger through the recovery than after the last recession, but still suffers from weakness, particularly in terms of youth and full-time jobs. The cautiously optimistic forecast for economic growth translates into equal caution over the forecast for renovation demand. this is more great news. CALGARY – From BMWs to Bentleys to a good bottle of wine, Calgary consumers are opening their wallets in what’s being described as more than just a recovering economy – with some even willing to say the word “boom” again. Retailer Wayne Henuset is in the thick of it, discovering his own barometer to measure what is quickly turning into a healthier marketplace. The owner of Willow Park Wines and Spirits says consumer confidence has been rising “with a vengeance” since fall. “We know this because when things are bad, people just buy wine, on sale, and bring it home. It’s one of myriad examples that suggest Calgary is reclaiming its economic swagger, as sectors across the board enjoy a surge in consumer and investment confidence, including high-end retail, real estate, construction and, most importantly, oil and gas. Henuset adds that during the 2008-09 recession, reduced prices and spot sales were what brought customers in. “Now they’re not really paying attention to that as much, they’re just buying whenever,” Henuset said, adding that the pricier, highend bottles are also getting bought up more. According to the BMO Blue Book report released this week, Alberta is expected to lead the country in real GDP growth by next year as the province’s economy starts humming again. Real GDP is expected to expand 3.6 per cent this year before moderating to 3.4 per cent by 2012, according to BMO Capital Markets. In Calgary, recent reports have suggested record leasing activity in the downtown office market last year, with experts saying job growth isn’t far behind. Meanwhile, job growth has already started in the construction industry with construction giant Ledcor launching a massive recruitment campaign, with plans to hire up to 9,000 people this year in Alberta and other parts of Western Canada. In the energy sector, industry activity is way up, says oil and gas analyst Peter Linder, with drilling activity significantly on the rise, record land sales and job prospects improving. Alberta Energy reported this week it had sold oil and gas leases or licences on 271,000 hectares of land worth $842 million, including a whopping $107 million for a 7,900-hectare licence near Red Deer. “All of that means more activity in the energy industry, and that means much more jobs,” said Linder. Even the lower natural gas prices that have been a hurdle in recent years will start to recover, Linder predicts. Ben Brunnen, chief economist with the Calgary Chamber of Commerce, explains that as oil prices recover, Calgary’s oil and gas sector is enjoying increased activity and investment confidence. As of March 2011, 59 oilsands projects valued at nearly $100 billion were either planned or already underway in Alberta. “And when investment is good, incomes increase here. That’s a unique perspective for Calgary because we are the head office of oil and gas,” Brunnen said. Businesses seem to already be reaping the rewards of more disposable income. Justin Havre, a realtor with CIR Realty, says Calgary’s real estate market is bouncing back, particularly in the luxury home market with 44 homes sold for over $1 million in Calgary alone last month. Tony Dilawri, who runs several car dealerships including Calgary BMW and the Distinctive Collection, which sells Bentleys and Aston Martins, says the luxury car market has also improved from last year. BMW sales are up 20 per cent from last year, Dilawri said, adding that some 20 new and pre-owned Bentleys and Aston Martins were delivered to customers last month. Dilawri says the Calgary kind of wealth is on its way back, a swagger that’s proud, but not too boastful. Calgary is not like Montreal and Toronto, he said, filled with old money that isn’t always affected by economic shifts. “We’re young in Alberta, and we work hard for our wealth,” he said. Brunnen agreed Calgary’s economy is bouncing back, but consumers are still cautious. 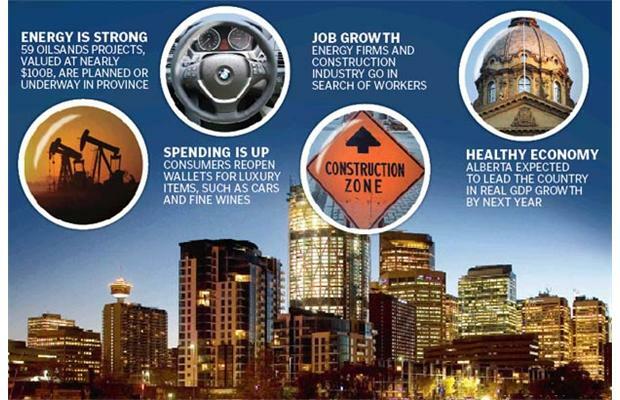 While optimism is growing in Calgary, however, the economic mood elsewhere is guarded. Reuters reported last week the global economy is still in flux, with investors wary that the real stresses still lie ahead. European debt uncertainties and the arrest of the head of the International Monetary Fund mixed with Arab revolt and Japan’s recovery from natural disaster are all contributors. “It is clear that some investors have decided that they need to take some risk off the table, but they do not want to take too much off,” said Andrew Milligan, head of global strategy at Standard Life Investments.